MYBOS is the system for you. From work order creation and building communication, MYBOS does it all. MYBOS makes keeping on top of your maintenance work easy. Easy and on the go inspection of your property via our app. Take control of your preventative maintenance with our all in one interactive calendar. Don’t waste time digging through endless emails and paper records. 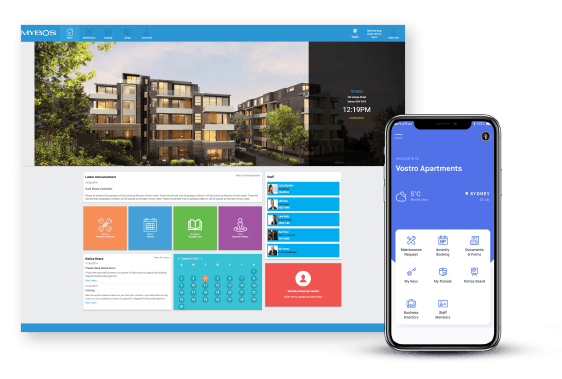 MYBOS intelligently organises your property’s information into one! 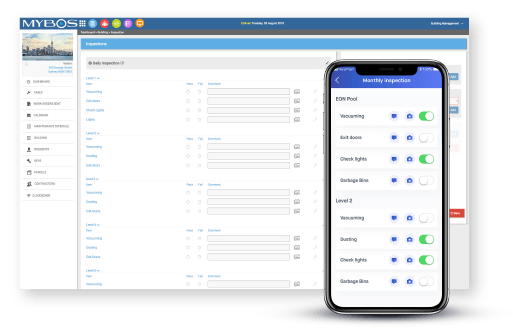 Use the MYBOS key register to effortlessly manage multiple keys for owners, tenants and contractors. Complete workflow of parcels from receipt to delivery. Go paperless – Stop printing out forms every time there is a breakdown and keep your community informed. Monitor your building assets with the ultimate wireless monitor solution from MYBOS. 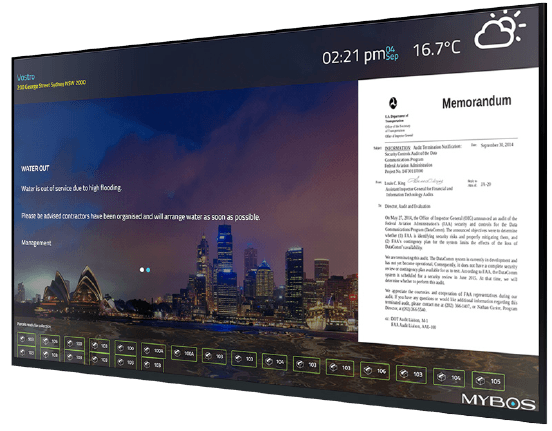 Featuring an array of sensors with unlimited applications in almost any built environment, the CloudSense MYBOS system can even send email and SMS notifications. 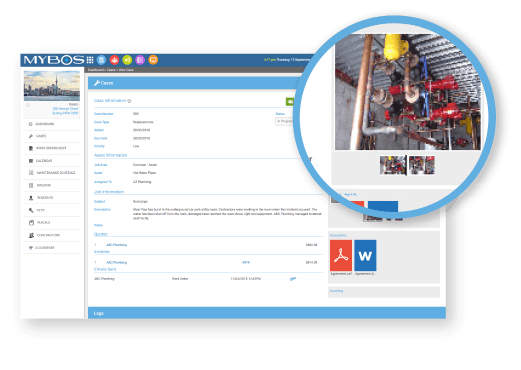 Complete your building assets by capturing photos, locations, warranty and much more with our easy to use asset interface. Create visually stunning and easy-to-read reports in an instant. Keep track of your budgets while streamlining your invoices. Secure your documents on the cloud for easy access. Anytime, anywhere! Broadcast announcement and upload property documents on our easy one step lobby screen setup! Keep track of staff activities anytime, anywhere through the online shift logging system. 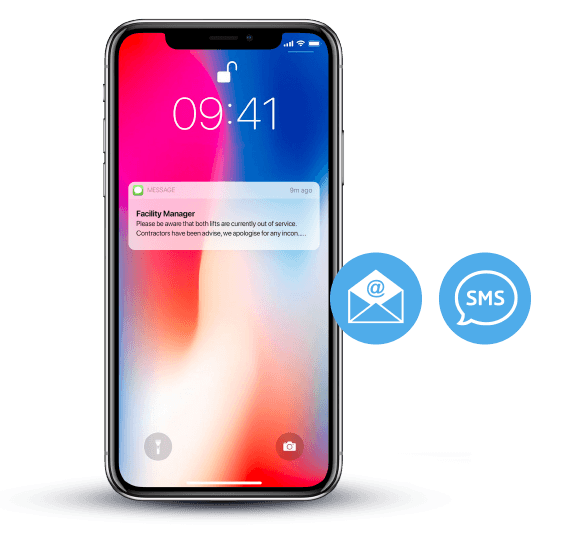 Connect with all your contacts via SMS and Email with the click of a button. Capture and store crucial information about your property owners and tenants. Backed by 256 SSL Security, your privacy is our priority. Secure your documents on the cloud for easy access – anytime, anywhere! Broadcast announcements and upload property documents on our easy one step lobby screen setup! Keep track of your staff activities through our online shift log system. Broadcast to your building contacts via Email or SMS. Difficulties keeping track of insurances, documents and contact information? Look no further. Effortlessly track and manage your property stocktake. Store your key operational procedures for easy access by those who need them. Keep track and manage gas, electricity and water usage records.